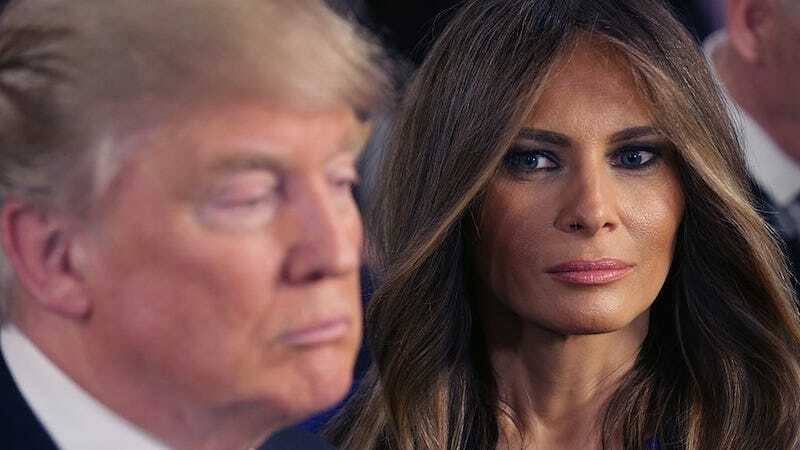 Melania Trump did not like her GQ profile one bit, and she’s sure there’s some sort of conspiracy afoot that is directing attention towards her family. In a Facebook post, Melania slams writer Julia Ioffe for having an agenda when she was interviewing the woman who may be America’s First Lady. How dare Ioffe take an interest in Melania’s parents? Or in the parents of anyone who might reside in the White House, for that matter. Would Donald Trump ever take an obsessive interest in someone’s parents or birth origin? I mean. “The article published in GQ today is yet another example of the dishonest media and their disingenuous reporting. Julia Ioffe, a journalist who is looking to make a name for herself, clearly had an agenda when going after my family. There are numerous inaccuracies in this article including certain statements about my family and claims on personal matters. My parents are private citizens and should not be subject to Ms. Ioffe’s unfair scrutiny. You know she said it, because of the quotes. Now, please respect the Trumps’ privacy during this difficult time (election season). Image via Getty and Melania Trump.